Cysts and sinuses may be found along the course of the thyroglossal duct; these cysts develop during the migration of the thyroid gland from the base of the tongue. The cysts are situated in the midline of the neck, usually below the hyoid bone. A fistula may develop from an infected cyst. The thyroid begins to develop during the 4th week of gestation when the embryo is about 2-2.5 mm long . It is an endodermal derivative composed of two small lateral anlagen and the more substantial median anlage from the foramen caecum at the base of the tongue. Because of elongated cephalad embryonic growth rather than active descent, the orthotopic pre-tracheal location of the thyroid is caudal to the foramen caecum . Thyroglossal duct cysts (TDC) are twice as common as branchial cleft cysts. In a review of 1,534 cases in the literature, Allard observed that, at the time of presentation, 67% of patients had a cyst and 33% a fistula . Approximately 90% of TDC occur in the midline of the neck, although some may occur paramedially, most often on the left. Overall, 73.8% occur below the hyoid bone, 24.1% are suprahyoid, and 2.1% are intralingual . Spinelli et al. reviewed their experience with neck masses in children and noted that 17 (26%) of 154 cases were TDC, and branchial cleft cysts were less common . Most patients with a TDC have no symptoms; they seek evaluation for a midline neck mass discovered incidentally by themselves or a family member. The most common manifestations are pain, a draining sinus or fistula, infection, or dysphagia. A cyst in the floor of the mouth may cause feeding problems in newborns, whereas a cyst at the base of the tongue has, in rare instances, been responsible for sudden death in infancy . Thyroglossal duct cysts range in size from 0.5 to 4 cm in diameter. They can be either unilocular or mul-tilocular and usually contain mucoid material if the cyst is not infected or mucopurulent material or pus if it is. The type of epithelium lining the cyst varies from one case to another, or even within the same surgical specimen. A columnar to stratified cuboidal epithelium with cilia is the most common type of epithelial lining, found in 50-60% of cases (Fig. 9.6). Lymphoid nodules in the wall of the cyst are found in 15-20% of cases, while they occur in 75% of branchial cleft cysts. A TDC with squamous lining and lymphoid tissue may be difficult to differentiate from a branchial cleft cyst. Immunoperoxi-dase staining for thyroglobulin may be of help. Ectopic thyroid tissue is identified (as collections of thyroid follicles in the soft tissues adjacent to the cyst) in 3 -20% of TDCs, although these figures are related to some extent to the number of tissue slides taken for histologic examination and the extent of inflammatory and reactive changes present in the surrounding tissue. Mucous glands were identified in 60% of the TDC studied by Sade and Rosen . 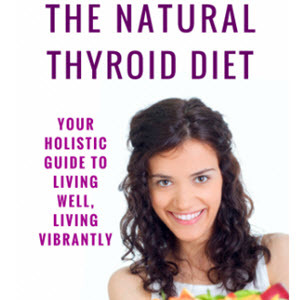 These authors believe the mucous glands to be part of the normal thyroglos-sal apparatus and not just glands found at the base of the tongue. Thyroglossal duct remnants are treated by complete surgical excision using the Sistrunk operation . This consists of a block excision of the entire thyroglos-sal tract to the foramen caecum, as well as removal of the central 1-2 cm of the hyoid bone. If this procedure is performed, the TDC recurrence rate is less than 5% . If the central portion of the bone is not removed, the recurrence rate is as high as 50% [3, 74]. Ectopic thyroid is defined by identification of gross or microscopic thyroid tissue outside of the thyroid gland. Most commonly from the base of the tongue (lingual thyroid) to the mid-lower neck superior to the orthotopic thyroid . The ectopia can be complete or more often associated with an orthotopic thyroid. Hypothyroidism is a frequent finding in patients with lingual thyroid . Batsakis and collaborators noted a clinical prevalence of lingual thyroid of 1 in 10,000 individuals, but an autopsy prevalence of 1 in 10 . Ectopic thyroid is histologically composed of uniform, often small, follicles containing minimal colloid. The mi-crofollicles are usually intercepted by the skeletal muscle of the tongue. Patients with presumed ectopic thyroid should undergo a preoperative thyroid scan to rule out ectopic thyroid gland, because patients with an ectopic thyroid gland have no additional normally functional tissue, and thus are rendered permanently athyroid by excision of the ectopic gland . Carcinoma from the thyroglossal duct (Hurthle cell adenomas and papillary carcinomas) have been reported in less than 1% of TDC [6, 118]. Yoo et al. reviewed 115 cases of papillary carcinoma arising in TDC published in the literature . These tumours are typically intracystic, and usually the thyroid gland proper is uninvolved. However, multifocal papillary carcinomas have been documented in TDC as well as in the gland [6, 118]. Most researchers agree that a) total thyroidectomy is not routinely indicated as long as there are no palpable abnormalities in the gland and no significant scintiscan findings, and b) the Sistrunk operation probably offers a reasonable chance of cure [6, 63, 118, 128]. Faulty development of the third and fourth pharyngeal pouches results in abnormalities of the thymus and parathyroid glands. Cervical thymic cysts (CTC) are morphologically identical to their mediastinal counterparts. They are found in the anterior triangle of the neck along the normal path of descent of the thymus, with or without parathyroid glands, and they have a fibrous band or a solid thymic cord connection to the pharynx or mediastinum. The thymus develops as paired structures from the third branchial pouch in the 6th week of gestation. The endodermal primordium of the thymus has a duc-tal or luminal connection to the pouch that is known as the thymopharyngeal duct. Ventromedial and caudal growth of the respective anlage results in separation of the thymus from the pharynx. The fragmented rem nants of the solid thymopharyngeal duct are thought to be the progenitors of accessory parathyroid and thymic tissue in the neck . The inferior parathyroid glands also originate from the third pouch, and their descent with the thymus explains their localisation relative to the superior parathyroids, which arise from the fourth branchial pouch. By the end of the 8th week, the lower poles of the thymic anlage approach each other, but do not fuse, at the level of the aortic arch. Failures to involute or descend of any of the thymic anlage are responsible for a variety of abnormalities, such as thymic cysts. The reader is referred to the excellent paper by Zarbo et al. for the classification of these developmental abnormalities of the thymus . Cervical thymic cysts are uncommon; approximately 120 cases in children were reported through 2001 [51, 89]. Males are affected more commonly than females. According to Guba et al., 70% of CTC are on the left side of the neck, 23% on the right and the remainder in the mid-line . They can be found anywhere from the angle of the mandible to the sternum, paralleling the sternocleidomastoid muscle and normal descent of the thymus. Sixty-seven percent occur in the first decade of life. The remainder occur in the second and third decades . The cysts range between 2 and 15 cm and may be either unilocular or multilocular. The epithelial lining may be cuboidal, columnar, or stratified squamous. In some areas, the epithelium may be replaced by fibrous or granulation tissue containing cholesterol clefts and mul-tinucleated giant cells. To qualify a cyst as a CTC, thy-mic tissue must be found within the cyst wall (Fig. 9.7); detection of this tissue may require numerous sections. Cervical thymic cysts rarely have malignant potential. Recently, Moran et al. reported for the first time carcinomas arising in CTC . This contrasts with mediastinal thymic cysts, in which malignancies are often seen. CTC also have not demonstrated pseudoepitheli-omatous hyperplastic changes, as in some mediastinal cysts.